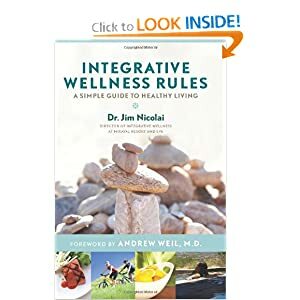 Integrative Wellness Rules: A Simple Guide to Healthy Living by Jim Nicolai M.D. Have I mentioned it’s cold here? The perfect time to catch up on my reading and the explanation for why I have reviewed so many books lately. Last weekend I read Integrative Wellness Rules by Dr. Jim Nicolai. I found it so impressive that I just have to write a little about it.